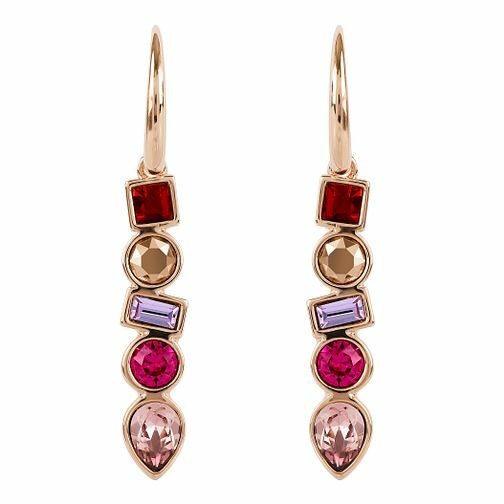 Adore presents these sumptuous rose gold plated mixed Swarovski crystal drop earrings. The intricate detailing and slim silhouette will beautifully pair with a sophisticated updo and evening gown for a evening soirée. Perfet for those nights when you're looking to leave a lasting impression.